The Association of American Universities on Monday released the overall results of a survey that asked students at 27 universities about their experiences with sexual assault and sexual misconduct, drawing responses from more than 150,000 students. At average 23 percent of female undergraduates at an array of prominent universities said this year they were victims of sexual assault and misconduct according to one of the largest studies ever of college sexual violence. Most of the undergraduate women suffered incidents involving sexual penetration or attempted penetration and the rest were victims of sexual contact through force or in situations when they were incapacitated and unable to consent. The students said sexual assault and misconduct is extremely problematic at the school. Here are key data and reactions from universities that participated in the AAU’s joint study of sexual assault this year. All schools are AAU members, except Dartmouth College. I want to tell Malala Yousafzai and the whole world that this is Swat. This is the land of peace and lovely people NOT the land of terrorists. This one picture can explain, what is the standard of education for girls in Swat. 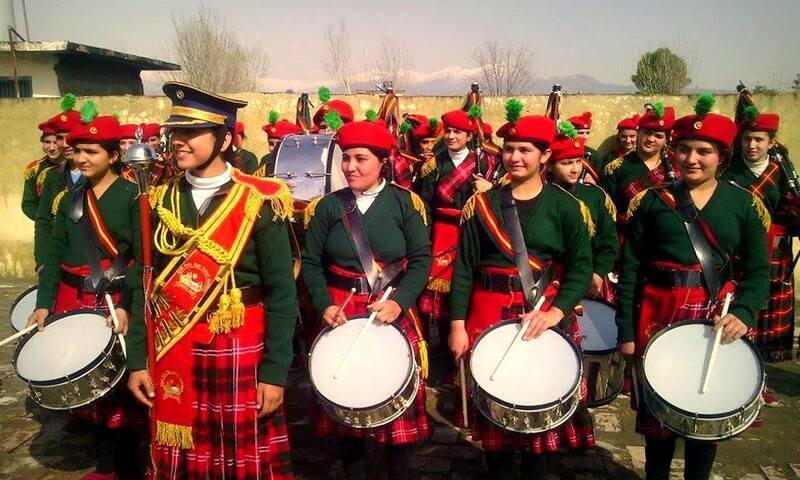 This is a current picture of a Band of girls performing in a government school. Last week I visited Swat for a training program. I visited many schools (Government & private) and found very good standard of education for boys and girls. Not only education, but there are many co-curricular and extra curricular activities for students. Malala got the Nobel prize for portraying negative image of Pakistan. Malala told the international community that girls are not allowed to go to school, proper rights are not given to them, there are terrorists in Swat, etc. But she didn’t tell about the school in which she was enrolled is one of the biggest Orphanage of the world where orphans and other children get education. She didn’t highlight this achievement of Swat. She didn’t tell that in every government school there are many students and Scouts who have achieved gold medals in different national competitions and have also participated in international events. She didn’t mention that the students of Swat have so much potential that a school going student also works to earn along with getting education. This is the level of Swat that I have seen with my own eyes. There are many other things as well, other than terrorism. Please don’t portray negative image of our country. and bred in easy circumstances. Q 1. What do bulletproof vests, fire escapes, windshield wipers, and laser printers all have in common? Q 2. What is the only food that doesn’t spoil? Q 3. If you were to spell out numbers, how far would you have to go until you would find the letter ‘A’? A 1. All were invented by women. Life is all by choices. When you get away all the junk every situation is a choice. You choose to be in a good mood or a bad mood. Always choose to be in a good mood. Each time some thing bad happens, it is up to you to choose to be a victim or choose to learn from it. Every day you have the choice to either enjoy your life or to hate it. It is your choice how you live your life. Always choose the positive side of life. The only thing that no one can control or take away from you is your attitude. So if you can take care of that, every thing else in your life becomes much easier.